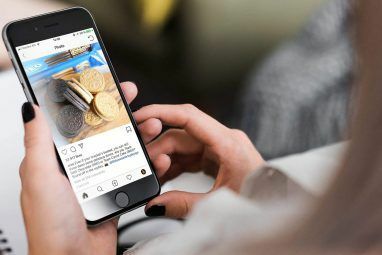 Instagram is not just about sharing photos of your food 10 Social Media Accounts Every Food Lover Should Follow 10 Social Media Accounts Every Food Lover Should Follow Do you like food? Do you use social media? Ever thought of combining the two in a bowl, transferring to a pan and tasting the results? Follow the accounts below, you won't be sorry. Read More , your daily livfe or interesting life hacks 15 Awesome Life Hacks You Can Find On Instagram 15 Awesome Life Hacks You Can Find On Instagram Who doesn't fancy a shortcut? Life hacks are ingenious tricks that can make your life easier, whether it's as simple as fitting two bowls in a microwave oven or making a DIY stand for your... Read More . There have been some pretty ground-breaking, life-changing, and fascinating moments that have been shared by its users as well. 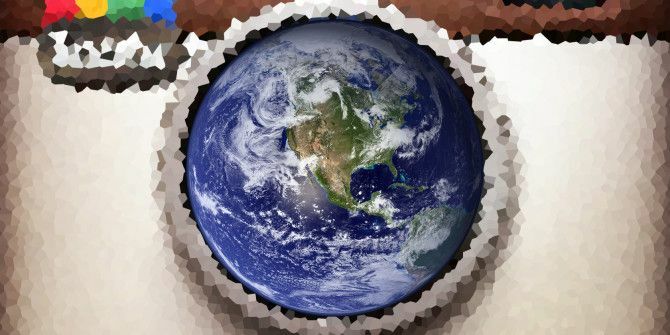 Whether its documenting natural disasters, hundreds of thousands taking to the street in protest, or a crash landing of an airplane, Instagram users have been there to snap some of the first shots. There’s no denying how much easier it is to snap a photo with your phone than your regular camera, which may explain why a lot of these moments made their way onto Instagram. With the addition of video to Instagram, we imagine that there will be just as many short videos capturing these moments as there are photos, down the line. In no particular order, here is a list of 10 fascinating, chilling and breathtaking moments captured on Instagram. Hurricane Sandy was probably the single biggest event that was documented on Instagram, with users sharing over 1 million photos on the mobile app, 800,000 of which were tagged #Sandy. To put that in context of just how big an event it was for Instagram, the 2012 Super Bowl hashtag, #Superbowl, came in a distant second at 85,000 photos. 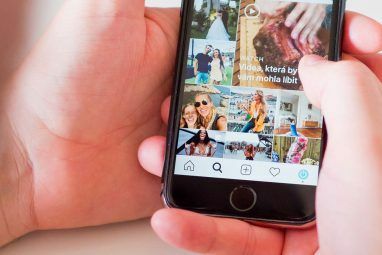 Not only was Hurricane Sandy a watershed moment for Instagram, it also showed yet another shift in how social media is changing mainstream media. An Instagram photo made it to the cover of Time magazine, as the magazine asked five photographers to document Sandy and its aftermath using Instagram. To see some of the best photos taken during the storm, check out the Instagram blog. A first that was documented on Instagram was Felix Baumgartner’s historic stratospheric jump. The event was another major moment for social media as it was livestreamed on YouTube, and key moments were captured on the Red Bull Instagram account created specifically for this purpose. If you happened to have missed the event, Baumgartner not only did a free fall from over 128 thousand feet (39 thousand metres), breaking countless records in the process, he also broke the speed of sound reaching an estimated speed of *833.9 mph (1,342.8 km/h). 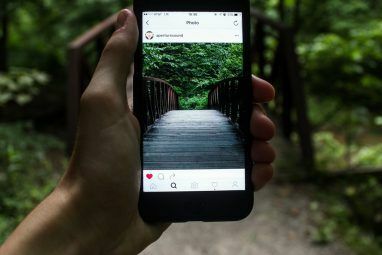 While Instagram users have been there to capture stunning examples of human perseverance and courage, Instagram has also been used to document some of the world’s most difficult moments. The Boston Marathon Bombings in April this year were seen through the lens of smartphone cameras as Instagram users shared photos in the immediate aftermath. Instagram photos showed not only the rescue efforts on the day, an outpouring of support came out on Instagram for Boston. The story continued to unfold on the social network, showing the reaction in Boston when Dzhokhar Tsarnaev was apprehended by 3HL. Instagram was similarly used in Beirut a year ago when a bombing in Ashrafieh left a top Lebanese security official dead. Much has been said about the role of social media as a citizen journalism tool and nowhere has this been more obvious than in protests — and Instagram is certainly no exception. We’ve seen Instagram used to document hundreds of thousands of people taking to the street in Egypt, Brazil, Turkey, Greece, Russia, and more. An Instagram photo of a protest in Cairo also made it into Time magazine. VIPs in place, awaiting Obama & Biden. It’s hard to believe that Instagram wasn’t around for President Barack Obama’s first inauguration in 2009, but the app was actually launched in 2010 $1 Billion In 2 Years: The Story Of Instagram, As Told By Its Founders $1 Billion In 2 Years: The Story Of Instagram, As Told By Its Founders "What are some good places to get professional business cards printed?" When Kevin Systrom put this innocuous question on Quora 3.5 years ago, little did he know how valuable those business cards would become. Read More . While Instagram missed out on the first inauguration, it was there for the second. In January 2013, hundreds of thousands gathered in Washington DC onto the National Mall to watch Obama swear in for a second time. While taking photos of a solar eclipse is impossible without the right filters (except for the moment of full coverage), leave it to Instgrammers to capture the event in other unique and original ways. Hugo Chavez ruled Venezuela for 14 years, until his death this past March. With the nation in mourning for 11 days, Chavez’s state funeral was held on March 8. Mixed perceptions of Chavez aside, the leader was considered a hero by many in his home country, and the turnout at his funeral was an indication of his stature. Hugo Chavez isn’t the only world leader who’s funeral was documented on Instagram. He joins the ranks of Margaret Thatcher and Cambodia’s King Norodom Sihanouk. While Twitter was the social network of choice for witnesses of a plane that crashed into the Hudson River in 2009, prior to Instagram’s launch, the Asiana Airline crash at the San Francisco Airport was captured on Instagram. Last July, the plane crash led to the death of two, while 305 survived following a ten-hour flight from Seoul, South Korea to San Francisco. While passengers on other planes took to Instagram to let the world know what they had just seen, a passenger of the Asiana Airline flight itself, opted instead to share a surreal update and photo using Path. It’s not every year the world gets to witness a papal inauguration. With the Catholic Church, however, we’ve witnessed two in the space of just one year. Pope Francis’ inauguration took place in March 2013, less than a year after his predecessor, Pope Benedict. With a crowd estimated somewhere between 150,000 to 200,000 people, it’s no surprise there was quite a few Instagram users documenting the moment using their smartphones. Endeavour's early morning flyover of the Texas State Capitol in Austin. A fascinating historic moment Instagram users got to witness was space shuttle Endeavour making its way from Texas to Edwards Air Force Base in California. Instagram users were able to capture the NASA shuttle as it made low level flyovers around the country, including passing over the nation’s capital, Washington DC. There are other ways you can put Instagram to good use. You can become an armchair traveller, exploring the world through other people’s photos Travel The World With These 10 Instagram Accounts Travel The World With These 10 Instagram Accounts If you can't actually get out and about yourself, there's no better way to travel the world than through photography. And while Instagram might be often (and unfairly) better known for food photos, or even... Read More or find the best in nature the world has to offer Get Inspired: 10 Amazing Nature Photographers To Follow On Instagram Get Inspired: 10 Amazing Nature Photographers To Follow On Instagram With 130 million users and counting, the world has never seen such a tsunami of photography aficionados. Is it possible to draw out ten amazing nature photographers who are snapping the beautiful world around us... Read More . What significant moments have you seen captured on Instagram? Have you captured any yourself? Do you think Instagram is the right place to share these kinds of photos? Let us know in the comments. You mean "annular" eclipse, not annual right? The path update from SFO crash is truly surreal. You're absolutely right. Thanks for pointing that out!